Faculty of Computing Science and Engineering. Dr.K. Veeramani born on 2nd December 1933 and brought up at Cuddalore, Tamil Nadu. An inspiring scholar by virtue of his hard work and dedication, an voracious reader, authored more than 75 books and an ardent disciple of Thanthai Periyar, besides all these, a great humanitarian known for his simplicity. Lucid in his expression, practising whatever he advocates. Man of principles and man of mettle known for his mighty words. Gold Medalist in M.A., meritorious credits in oratorical competitions and recipient of several awards are added glories to his achievements in student life. Attracted by the words and deeds of Thanthai Periyar mainly towards uplifting the society establishing social justice and eradicating illiteracy at the age of nine. Gave up practising law, accepted executive editor position in ‘Viduthalai’-a leading rationalist daily and assisted Thanthai Periyar in editing it and in all his campaigns. Founder of 17 educational and charitable organizations and member of International Humanist and Ethical Union and British Humanist Society, England. Championed the cause of Reservation for Backward class people both in educational and employment opportunities. In short, he is a Living Legend. S. RAJARATNAM, M.A., LL.M., F.C.M.A., (born on 15.6.1928) is a Post Graduate in Economics and Law (Commercial Laws). He joined Indian Revenue Service as Income-tax Officer after a brief spell as Lecturer in Economics. He served in various places and levels as Income-tax Officer, Assistant Commissioner and Commissioner of Income-tax in the Income-tax Department, till he joined the Income-tax Appellate Tribunal as Accountant Member in 1980 and retired from Government Service and post in 1985. 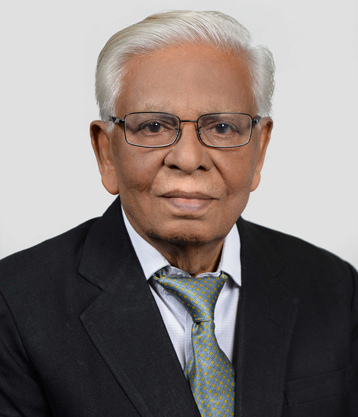 While in Service, he was on deputation to Government of Sri Lanka as Taxation Expert in 1960-62 and the Government of Tamilnadu as Member, Tamilnadu Sales-tax and Agricultural Income-tax Appellate Tribunal during 1971-76. 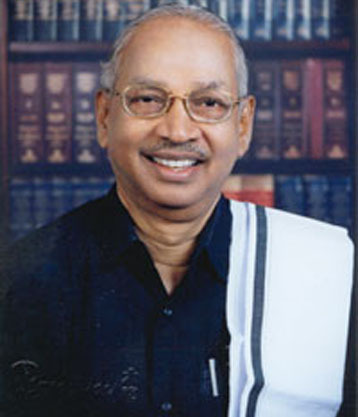 He is a Fellow Member of the Institute of Cost Accountants of India and a Life Member of the Indian Law Institute and associations mainly charitable and educational institutions including Periyar institutions and had been a director of a scheduled bank and companies in some as Government nominee director. 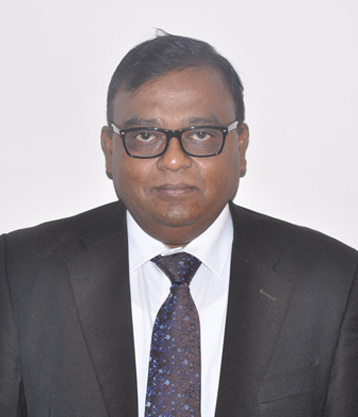 He is presently having chamber practice as an Advocate & Tax Consultant and is Honorary Director (Education & Research), Society of Auditors, Chennai. He has authored several books and is a regular contributor of articles for journals. He is actively associated with a number of public charitable organisations. Prof. S. VELUSAMI, a renowned senior academician in the field of Electrical & Electronics Engineering wherein he is specialized in Large Scale Power System Modeling, analysis and control, Economic Operation of Power System and Energy Conversion. He has dedicated 36 years of academic teaching and held positions like Professor, Dean, Principal, Advisor and numerous other administrative positions throughout his career. As an inspiring researcher Prof. S. Velusami has guided 07 Ph.D. scholars and 55 M.E. thesis. Also, he has published 41 research papers in various refereed international journals and presented 40 research papers in National and International Conferences. Served as special editor as well as reviewer for various International Journals. His administrative experiences are associated with Annamalai University which includes Convener for Dean’s Committee, Member Syndicate, Member Senate, Member Academic Council, and Chair Person for Board of Studies. 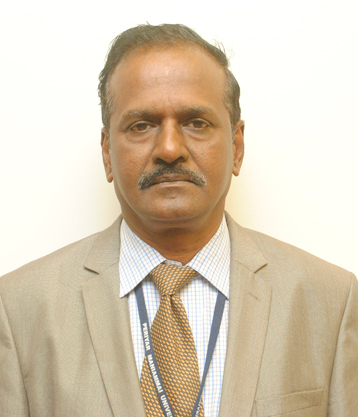 Prof. S. Velusami, has received many funds for his active research from MHRD, AICTE, UGC and DST. Also, he has actively engaged in International Collaborative projects with Tennessee Tech University, Tennessee, USA; NGEE Ann Polytechnic, Singapore; Sinmax Global Pvt. Ltd, Singapore and Tamil Nadu Neyveli Lignite Corporation. It is evident through his proven track record as an academician and an able administrator which enabled him to excel in his leadership roles. Some of the prestigious awards on his role are: Obama – Singh 21st Knowledge Initiative Award (2013), Campus Preparedness Award 2015. To his credit he has contributed towards success of the event and created Asia Book of Records; wherein the most digital video resumes (3025 numbers) created through Vresapp web application at Annamalai University Campus, Tamil Nadu during November 4, 2015. Dr. S. Sundar Manoharan, a renowned Educationist, Scientist and an Administrator, served at Indian Institute of Technology Kanpur as Professor between 1996 to2014 and as the Vice-Chancellor of Karunya University, Coimbatore between February 2014 to June 2017. He has over 30 years of extensive experience in teaching and research in the area of Material science and Nanotechnology. He was deputed from IIT-Kanpur to be the Founder Director of UGC funded 100 Crore project to establish National Center for Nanoscience and Nanotechnology at the University of Mumbai premises in the year 2012-2014. He served as a visiting professor in internationally reputed institutions including NUS Singapore, University of California-Berkeley, Max Planck Institute-Germany, Imperial College-London and University of Maryland-USA. In the recent past he has held several administrative positions including, being member of Project Advisory Committee at DST & DRDO Funding Agencies. For his immense contribution he was awarded Innovation Gold Medal by the Department of Science and Technology and Lockheed Martin, USA. He is a recipient of Global Indus Techno-Innovators Award for his research contributions on Nanomaterials and Devices, by Massachusetts Institute of Technology, USA and has received Innovation awards instituted by Intellectual Ventures, USA. Furthermore as a faculty Entrepreneur at IITK, he has set up an incubating startup company at SIDBI -IIT Kanpur in the year 2009. He has more than 120 research publications and has supervised 13 PhDs, 27 Master Project thesis, 2 M.Tech thesis. He has been successful in converting ideas to reality, having 13 patents to his credit, six of which are granted USA Patents. Dr. Sundar Manoharan is known for his virtues as a Mentor, Teacher, Leader and an Innovator. He is committed to serve the humanity by dedicating to the cause of Scientific and Technological research. He has ensured all round development by adopting novel and innovative approaches, never compromising on quality. His endearing personality has been a tremendous source of inspiration to many young Researchers and Teachers.